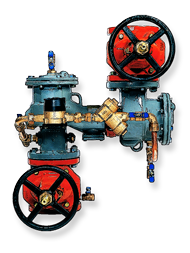 Backflow Prevention of New York is dedicated to all aspects of backflow prevention. We help you make sense out of the complicated requirements for backflow installation. We’ll visit your site, devise a plan, and give you a proposal — all without charging you a penny. We also offer a free consultation with a Licensed Master Plumber to see if your backflow preventers need testing or service. We’re known as the Backflow experts but did you also know that we offer a full range of plumbing and heating services?